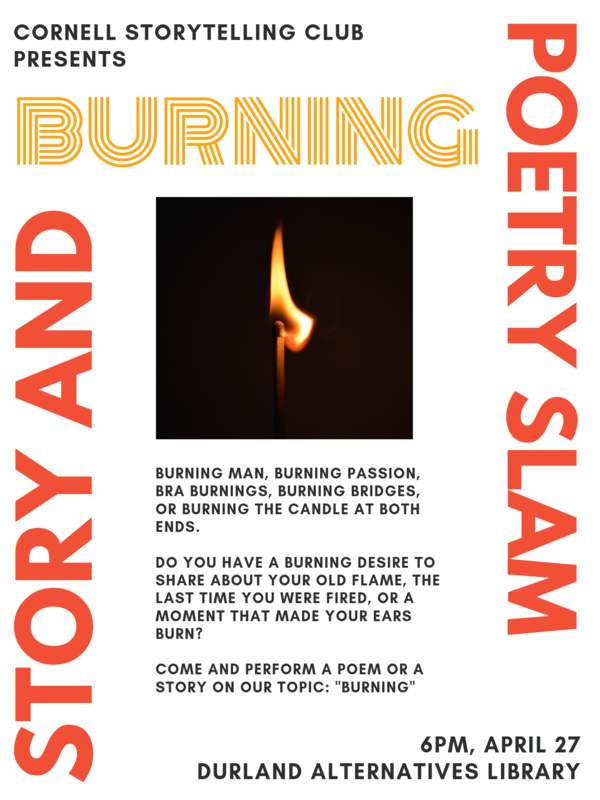 Burning Man, burning passion, bra burnings, burning bridges, or burning the candle at both ends. Do you have a burning desire to share about your old flame, the last time you were fired, or a moment that made your ears burn? 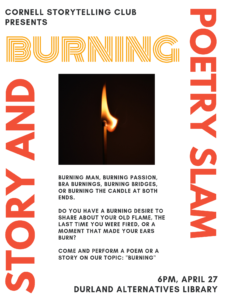 Come and perform a poem or a story.